Is Elon Musk’s Fast Earth Travel via Rocket Possible? Around the world in thirty minutes sounds like a dream. Towards the end of his talk at the recently concluded International Astronautical Congress (IAC 2017) held in Adelaide, Australia last week, SpaceX founder and CEO Elon Musk mentioned an “unexpected” application of their new rocket technology. “If we’re building this thing to go to the Moon and Mars, then why not go to other places on Earth as well?” Musk asked on Friday. While that certainly is appealing — and it does look nice on video — it raises a number of questions. Let’s consider some of them. One of the reasons SpaceX designed a new BFR was to cut down on costs, and potentially change the company’s revenue scheme. Sending people to Mars would already be rather expensive — won’t sending people from New York to Shanghai via rocket be equally so? We know that the flight won’t cost the same as getting to Mars, which is $10,000 according to Musk. He estimates the ticket cost of one such rocket flight to be “about the same as full fare economy in an aircraft.” A quick Google search would show that the cheapest economy airline travel from New York to Shanghai costs about $435. 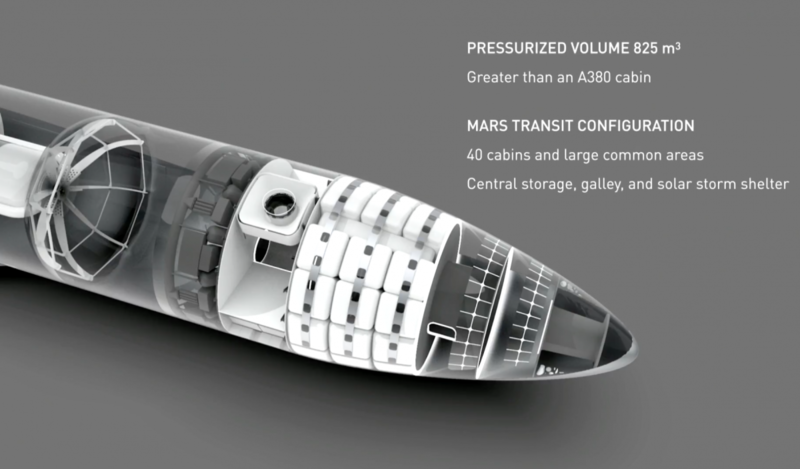 Going by what Musk revealed about the BFR, it supposedly has a cabin capacity similar to that of an Airbus A380, which can carry more than 850 people. Doing the math, SpaceX could earn somewhere around $370,000 per rocket flight. Sounds good enough, right? That’s until you consider how much it costs to launch a rocket. Currently, SpaceX says that one Falcon 9 launch cots about $62 million. Assuming that a commercial Earth-travel BFR would cost about the same, earning less than $400,000 per flight doesn’t seem like a sound business choice. That’s assuming SpaceX can get this whole set-up to work, in the first place. “You can’t fly humans on that same kind of orbit,” Brian Weeden, program planning director at Secure World Foundation, told The Verge. “For one, the acceleration and the G-forces for both the launch and the reentry would kill people. I don’t have it right in front of me, but it’s a lot more than the G-forces on an astronaut we see today going up into space and coming back down, and that’s not inconsiderable.” Humans aren’t immune to the stresses of spaceflight, radiation exposure included, even at short lengths. Then there’s the question of logistics. Musk isn’t the first to propose commercial space transportation. The U.S. Department of Transportation published a report in 2010, as a result of considering a supersonic Concorde airliner. The report explains the financial, technological, and regulatory risks of this mode of transport. We’re in 2017 now, though, and technology has seen significant advances. Regardless, the same passenger safety concerns hold. We’re not shooting the rocket down before it even takes flight. Musk has yet to give a timetable for when this would be available, but it’s probably around the same time SpaceX plans to land on Mars — some time between 2022 and 2024. Maybe by then SpaceX will have developed the technology and the strategy to zoom past these hurdles.